Would you like for your Business, Church, or Ministry to have its own website, but you just don’t have the time or knowledge to build one? Do you currently have a website, and you would like to have it “updated” and maintained so that it reflects the current state of your business? Then let The Communications Handyman do this for you. 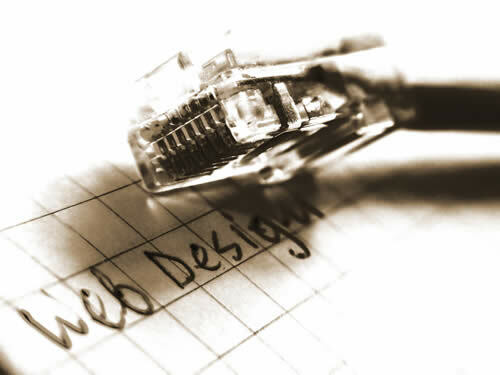 We will build you a powerful and dynamic website around your specific needs and desires. You will have direct access to one of our web designers before, during, and after the development process to make sure that your website is exactly what you want and need. Our support will make sure that your website continues to be that way after the initial design is completed. Our websites are designed on the power framework of WordPress. With an up to date and relevant webpage, your customers or members can have real interaction with you wherever they are. Communicating your message through a website is a lot less expensive than traditional media. Think of all of the content that you can have on a web, then think of all of the space you would need in a phone book or newspaper to share that same content. You would have to spend a fortune. You can always keep things fresh and up to date. The price of continually changing ad’s in the newspaper or the yellow pages can be pricey. With a website, changing your information is instant and free. Your information is available 24/7, 365 days a year. Your website can be included in any promotional material such as fliers or business cards so that people can have a way of finding you and finding out more about you. Through a website you can collect email address for you, thereby giving you a contact list for possible new customers. A website can link your visitors or customers to your social media. Many companies are using social media for advertising. Churches and ministries are also using social media to keep their followers up to date with what events are happening. Please read this Forbes article on the importance of a small business having an online presence. Some clients want us to handle every aspect of their website, to include content updates; that’s no problem. Other clients want to be able to manage all of their own content. We provide everything that is needed for you do this. Our website administration features a control panel that is easy to use, and allows the customer to expand the website to whatever degree they are comfortable. Ecommerce package – Pricing will be determined on a customer to customer basis. Changes within the first 60 days of the launch of the site are included in the website design price. After that, modifications to the design of the website will be an additional charge. Customs website headers and business logo’s can also be created by web design team. Emails can be created at any time for $25 per email. All email addresses can be set up to work with Microsoft Outlook and most smart phones. Hosting and maintaining your website – $20 a month for 12 months, after the first year, the price drops to just $10 a month. If you already have a website that you would like to have updated and maintained by us, your domain, the www.website.com , can be transferred onto our hosting server and maintained there. Our hosting servers include unlimited data storage and unlimited data transfer. What does maintaining a website include? Ecommerce website maintenance – Ecommerce websites require much more maintenance than a regular website that does not include selling products. Pricing will have to be negotiated with each business owner. Pricing will vary on business size, number of products to be sold, etc. Search Engine Optimization – We will make sure that you website is set up for the best results on the most prominent search engines. SEO is the process of improving the visibility of a website or a web page in search engines. We are not an SEO company. We will make sure all of the basics are covered for SEO, but there are companies that will customize your whole website around making sure it shows up in the top search engine results. You own your website. The Communications Handyman will provide you a finished package with all of the information you need to manage your website. Please call Brian Davis at (228) 324-5932, or email me briand@communicationshandyman.com. I would love to schedule a meeting with you to talk to you and show you what kind of website we can design for you and your business.